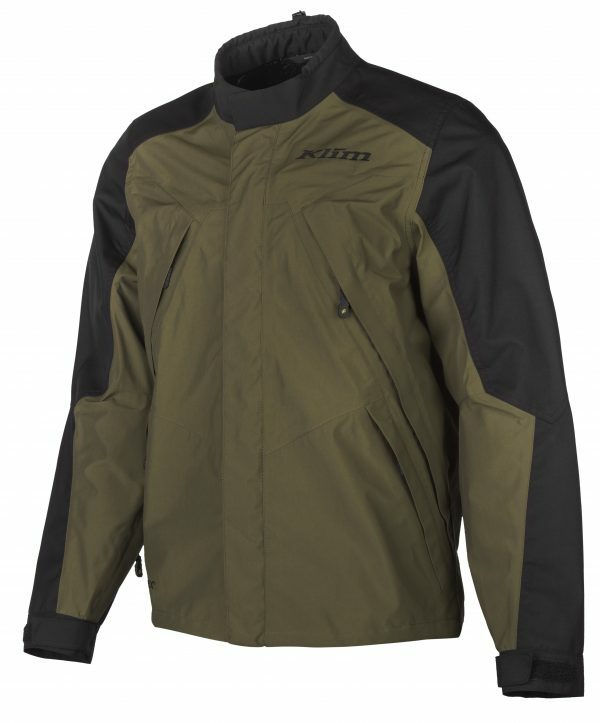 KLIM’s Traverse, jacket and pant may not have the flashy technical highlights that make it stand out at first glance, but once you take a closer look, you will realise the many superb qualities it has: it is light, robust, absolutely waterproof, breathable and features an effective ventilation system for hot days. It has a generous and comfortable fit for maximum freedom of movement, is lightweight and yet it is made of an extremely hardwearing nylon construction with 500D Cordura reinforcements that will give you ample protection in extreme situations. A 2-layer GORE-TEX laminate construction (3-layered fabric in the trousers) is completely waterproof and protects the rider against rain, even at high speeds: it is “GUARANTEED TO KEEP YOU DRY®”! The breathable fabrics, a moisture-wicking mesh lining and a liberally proportioned and highly effective ventilation system with 10 ventilation openings and watertight zip fastenings ensure great all-weather comfort! Glove-friendly YKK zippers, a sufficient number of pockets, an adjustable fleece collar and jacket hem, leather patches on the insides of the knees and adjustable trouser cuffs complete the set. In addition, the outfit features matching 3M reflectors and is comprehensively equipped with protector pockets so that you can add D3O protectors anywhere necessary. There is no situation the Traverse is not prepared for. Its roots may lie in Enduro sports, but it provides superb qualities for long journeys on the road as well. For all who have every riding in it, the Traverse is the genuine all-round talent in the KLIM product portfolio. The KLIM Traverse is available in the colours: “black” and “green”. The jackets are available in sizes SM to 3XL. The trousers are available in sizes 28 to 42 as well as with extra-long legs.